Backed by industry experience of 9 years, we hold maximum expertise in trading, distributing and supplying of Citizen Barcode Label Printer (Japan CLP/ CLS-8301(8") PL, DYMO Paper Label Printer, Barcode Printer TCS 244 PLUS, Citizen Barcode Label Printer (Japan CLP/ CLS-631) and Contact Image Sensor. Apart from these, we also provide Ferrule Printer MK1100, Ferrule Printer MK2100, DYMO handy label Printer 220P Label Manager 220P, QL-570 Paper Label Printer (Brother) and Citizen Barcode Label Printer (Japan CLP/ CLS-621). Designed using thermal transfer printer technology, these printers are capable of printing various types of linear barcodes such as 580n, CLP-631, QL-570 and CLP-621. Our barcodes are procured from Dymo, Citizen, TSC and Brother, which are renowned manufacturers. We also offer these, these printers to the clients in different sizes and specifications, which meet the clients’ demands. 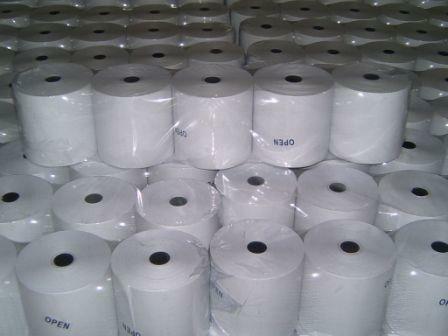 Our organization has a capacious warehouse, where these printers are stored in bulk quantity. Within a short period of time, we have gained immense market appreciation and gained renowned clients across Cosmos Bank, Bobest group, Positive, Cabinet and Mahindra. VISION ENTERPRISES Importer & supplier of leading brands in bar coding and AIDC in India. , VISION started by exporting food products, garments, engineering products etc. and over the years the product range has grown to hundreds of exclusive products. Our vision is to provide our customers best products and services with cost effective solutions. The group’s endeavour has been to provide customers with value for money. The guiding principles of honesty, integrity and hard work have helped build strong associations, which have resulted in the prosperity of every associate as well as in the exponential growth of the group itself.